Why visit the Dr.Golf Academy? Dr.Golf (Dr. Volker Bernhardt) is your instructor. The Learning programmes have been examined according to scientific standards. 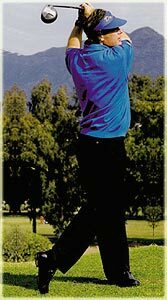 The teaching philosophy is based on 3 dimensions: (Mental, Technique, Golf-fitness). We'll test you first, analyse and cure your problems afterwards. First class training devices will support the learning process. Competition and fun are part of the learning programmes. 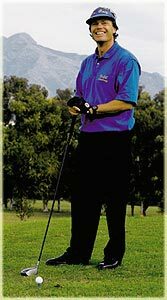 Member of PGA of Germany since 1978 and PGA of Spain. Only German golf professional with doctorate in Sports Science (golf research). Coach and instructor of world class pros and amateurs.